Lots of people dread driving at night, which is completely understandable because darkness puts you at an increased risk of getting into an accident. 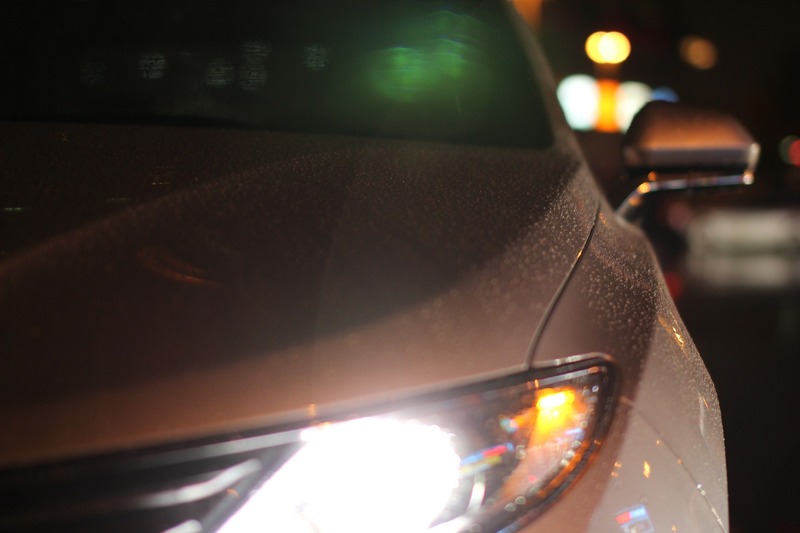 Studies have shown that a disproportionate number of fatal auto accident injuries happen at night too, often due to poor vision, inadequate roadway lighting, traffic density, and alcohol consumption. 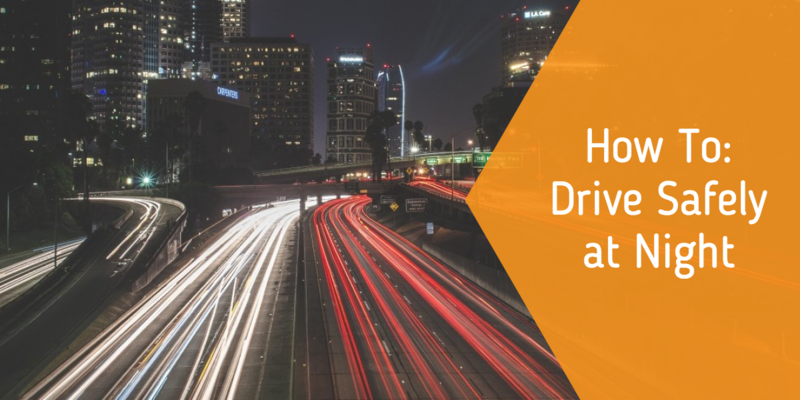 However, most people do not need to entirely avoid driving after dark; they just need a few reminders about night driving risks and some safety tips to keep in mind. No matter how good your vision is, it’s simply harder to see without natural sunlight illuminating the road. The glare from oncoming headlights also poses visibility risks when high-beam headlights are used and on two-lane highways in dark areas. Since you can’t see as well when it’s dark, it is also more difficult to react to situations. This is particularly troubling when pedestrians dart out in front of your car to cross a street or a bicyclist pedals in front of you at a stop sign. Although seeing at night is somewhat difficult for everyone, some people suffer from a legitimate form of night blindness known as nyctalopia. This condition is often associated with poor peripheral vision and can be caused by glaucoma, cataracts, and even vitamin A deficiency. Make sure to visit an optometrist every year to check your vision and make sure that it’s still safe for you to drive at night. Whether they’re headed home from a buzzing happy hour after work or driving out to the club for a night out on the town, there are more impaired drivers on the road when the sun goes down. Even if you’re 100% sober, you never know how sober the guy is driving next to you, or the woman approaching you in the other lane. To eliminate traffic hassles, many urban and rural areas schedule road construction projects for off-peak hours. Construction zones often require bright lights do get the job done, which can create distracting glares for drivers passing by. Here are some safety tips to remember next time you’re driving at night. Not only is it important that you can see well at night, but also that other drivers on the road can see you. Before getting into your car, do a quick check of the headlights and taillights to make sure they’re all working properly. Drivers are much more likely to get into an accident if they’re speeding, so put on the brakes even more than you normally would during the day. This is the time when it’s harder for everyone to see and react quickly, so plan to leave early so you’re not in a hurry. Night driving is challenging enough without the debilitating effects of alcohol and drugs. If you plan to party, take public transportation, call a cab, or arrange a ride home with a sober friend. Driving when sleepy can be just as dangerous as driving drunk. If you start to feel tired while driving, pull off the road in a safe place to stay overnight in a motel or switch drivers if your passenger is rested and alert. Wildlife, especially deer, is known to come out onto the roads at night, and it’s your responsibility to look out for them. Other animals, including possums and raccoons, become more active at night too. Animals of all sizes can cause to you to swerve and get into an accident, and large animals can do serious damage to you and your vehicle when hit. Many drivers were taught the “three second rule” in driver’s education class regarding following distances. Increase that standard by a second or two when driving at night to be safe. Drivers must become more alert than usual when driving at night, especially in unfamiliar locations after dark. Remember these safety tips and always be mindful of your high-beam usage to help other drivers be safe on the road as well. Paul Dee writes for Comedy Defensive Driving, a Texas defensive driving school. Do you need more practice driving at night, or just driving in general? The Next Street offers private driving lessons to teens and adults. Book a drive with us today!